Rotary Seal Ring - Eclipse Engineering, Inc.
Eclipse Rotary Seal Rings are a bi-directional version of our seal ring modified specifically for low to medium speed rotary and oscillatory applications. The dynamic side of the seal band has geometry designed to hold lubrication and reduce contact pressure while the static side of the band has a high friction coating to mechanically grab the O-Ring energizer and keep the seal stable in the gland. 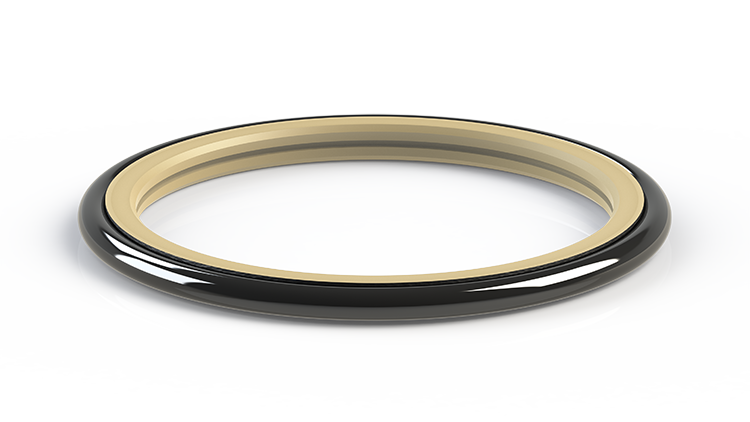 Applications that experience high pressure and low speeds are especially suited for these Rotary Seal Rings. Spool valves, auger mixers, and steering units are typical assemblies utilizing this design. Available in rod and piston configurations.